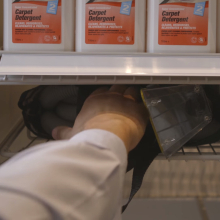 Our handy self-service lockers are available at selected large stores, and with no forms or queues, it’s the fastest way to hire a Rug Doctor. 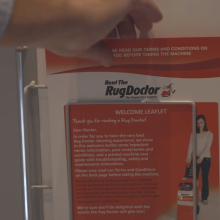 Our detailed video guide shows you all you need to know about collecting your Rug Doctor machine. 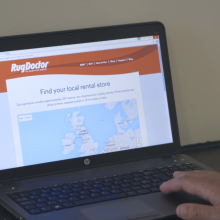 Book your Rug Doctor hire online or over the phone. 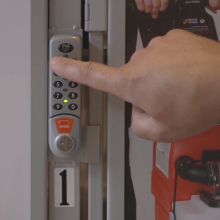 If you choose the self-service option, we’ll provide you with a locker number and code. 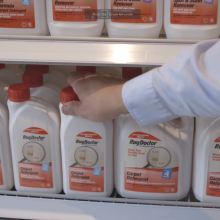 Choose and purchase the cleaning products you need in-store. Find our self-service lockers near the checkouts – identify your numbered locker and enter your four-digit code. Remember to take the welcome pack located on the inside of the locker door. 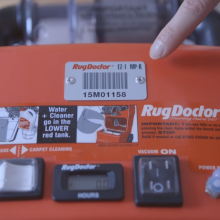 Remove your Rug Doctor machine and make sure its number matches the one we gave you. 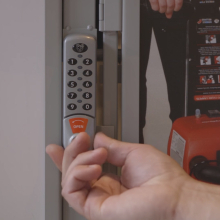 If you’ve hired the Hand Tool as part of your rental, take this from the locker. 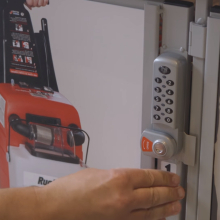 Remember to close and lock the door after you’ve removed the machine and Hand Tool. To return the machine, simply open the locker using the same code. Place the machine and Hand Tool (if rented) back inside, then close and lock the door.